Once giftedness was defined primarily in terms of intellectual skills and knowledge that could be tested with a narrow range of intelligence tests. 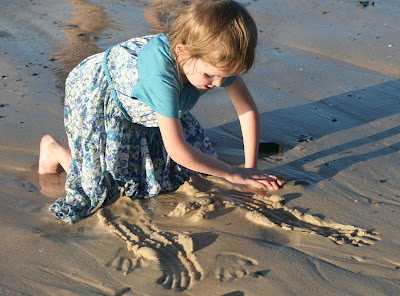 But increasingly we recognise that giftedness has multiple dimensions (see for example my post on Howard Gardner's Multiple Intelligences). 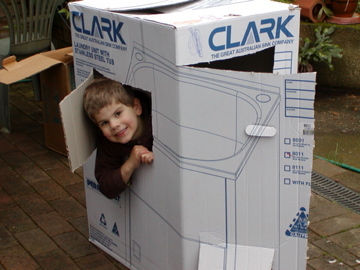 While some gifted children demonstrate exceptional abilities across a wide range of capabilities (e.g. memory, language, mathematics, problem solving etc), others are gifted in narrower and more specific ways (e.g. visual arts, music, leadership, sport etc). 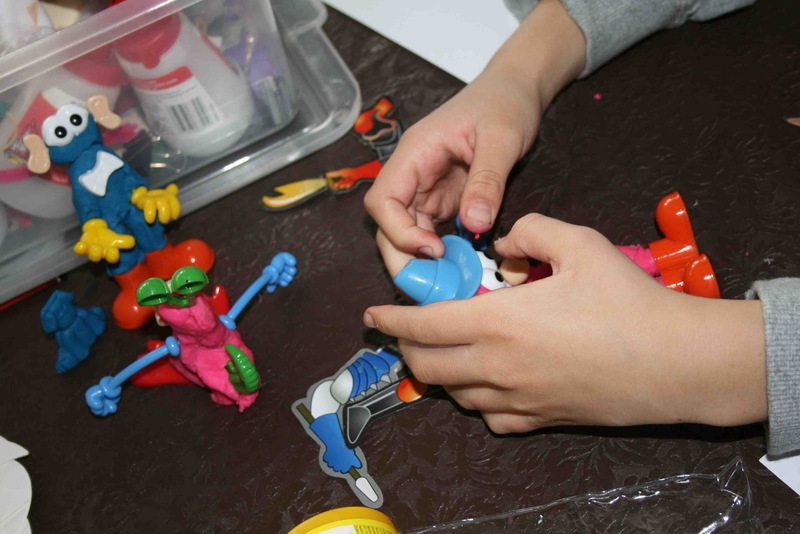 If you are interested in more information on supporting gifted children you can read a previous post HERE which covers some common territory but has additional ideas for older children. If you live with a gifted child or have one in your class there is a good chance you will begin to recognise a number of characteristics that differentiate them from most children, even most capable children. While many parents feel their children are gifted as they learn new things (we all think our kids are amazing), exceptional intellectual giftedness is much more rare. While some teachers tend to assume that gifted children can take care of themselves and so require less attention, this can be a dangerous assumption. Life for the highly gifted child can be an extremely frustrating, confusing and at times lonely experience if their giftedness isn't identified and supported. If your child demonstrates, to a significantly greater extent a large number of the following characteristics, they may be gifted and will need support, encouragement and some adaptation by teachers and parents. 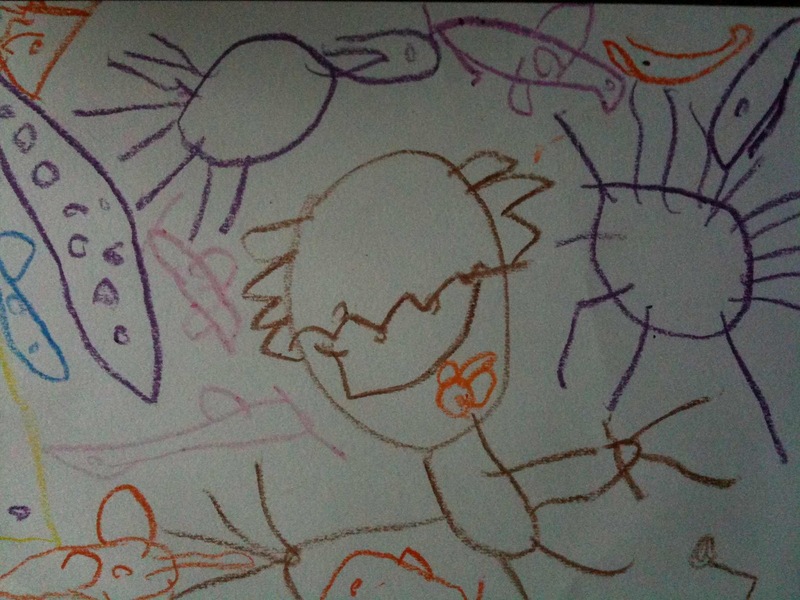 The ability to invent or create novel or original things, or look at their world in unusual ways (and I'm not talking about a six year old making a paper aeroplane). One aspect of giftedness is rich imagination. While all children demonstrate imaginative qualities at a very young age, many seem to lose much of their uninhibited almost natural ability. But some grow and demonstrate this to a greater extent as they age. The gifted demonstrate high levels of imagination, which in turn reflects high levels of creativity and significant knowledge. The latter is important, for creativity requires knowledge (e.g. knowledge of subject, language, mathematics etc), and in most instances associated high levels of skill and proficiency (e.g. hand-eye coordination, observation, computation, bodily dexterity, memory, verbal fluency etc). Poetry is a much-neglected part of literature. 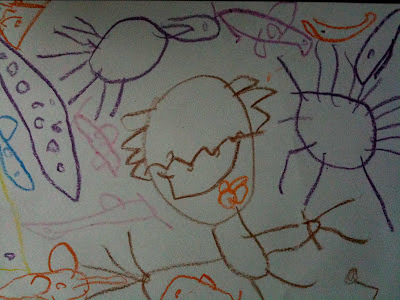 I've written before about its power to allow us to express and explore varied aspects of the human condition (HERE). 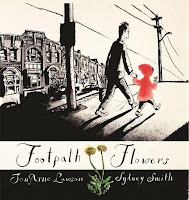 I also regularly review good poetry books on this blog. Poetry should be read, listened to, experienced and enjoyed with our children. It can amuse, entertain, challenge, teach and change us. 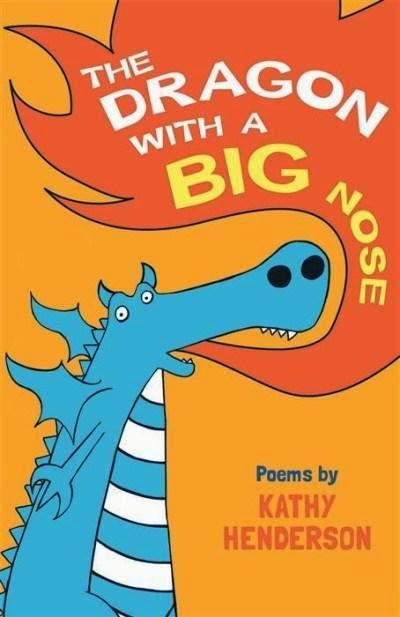 Our aim as teachers and parents should be to seek to share good poetry often, and help children to 'experience' poems as significant literary and life events. 2. Offer a variety of reading, speaking and listening experiences with poetry that don't require analysis and dissection. 3. Create an anthology for students - a packet of poems as wide-ranging and diverse as possible (rhyming and non-rhyming, contemporary and ancient poems, easy poems easily comprehended, curious & mystifying, classics & unknown, some written by students. 4. Sometimes create an anthology around a particular theme or image (ecology, justice, humanity...). 5. Provide time to read the poetry collection with no strings attached. 6. Allow students to read poems they like aloud to the class. 7. Try some choral reading. Perhaps have the class pick one of the poems for choral reading. 9. Perhaps have everyone memorize a few poems. Perhaps a poem that they will know for life! For some great ideas on poetry and access to great book lists visit the Centre for Excellence in Primary Education (CLPE) which has an annual award for poetry written for children. I wrote a post on notable poetry books a few years ago that you might still find useful (HERE). Here is a short sample of some good recent poetry books and anthologies that might be helpful. 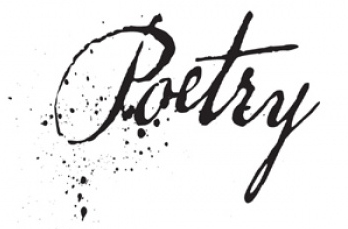 They are suggested simply to offer an insight into the variety of poetry books available. I would love to hear of your favourites. 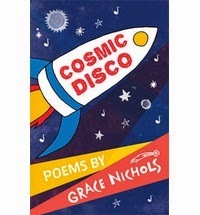 This is a careful selection of poems, both familiar and new; they contain poetry that lend themselves to being performed in a range of collaborative ways. 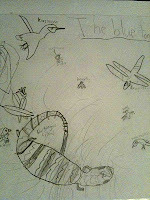 Progress through the book is subtly themed: gliding through poems about school, football, food and many other matters. It offers succinct suggestions for how they could be presented both verbally and dramatically at the back, leaving plenty of scope for teachers and pupils to make their interpretations. 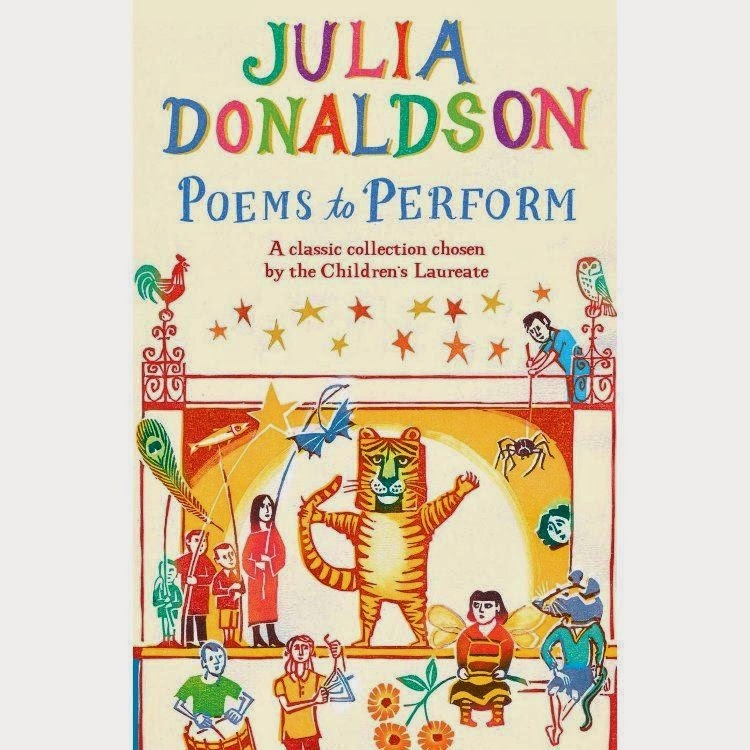 The poems range from classics by Edward Lear, W H Auden, and Eleanor Farjeon, to contemporary work by Michael Rosen, John Agard, and Clare Bevan. It is illustrated throughout with exquisite, expressive linocuts, this is a book for teachers, parents and children; in fact anyone who loves great poetry. I bought this to use with children myself! The descriptions are edited versions of the judge's comments on each book. This collection has many city poems that capture the feel and vibrancy of urban life. 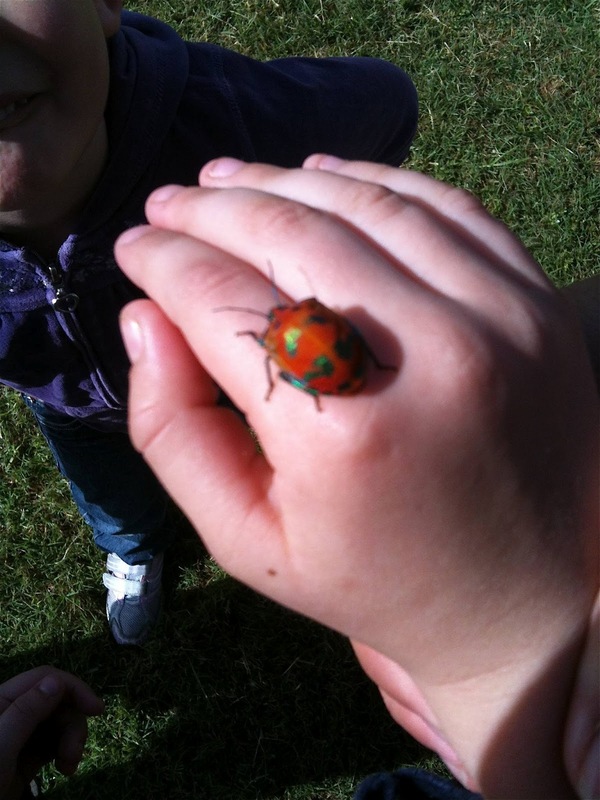 These are odes to the urban environment - its buildings, its transport, the people and creatures that inhabit it and the effects of weather on it. The dragon on the cover disguises the contents. Fantasy and reality converge in poems like ‘Under the Stairs’ and many of them describe wonder in the apparently ordinary, but there are varied poems. 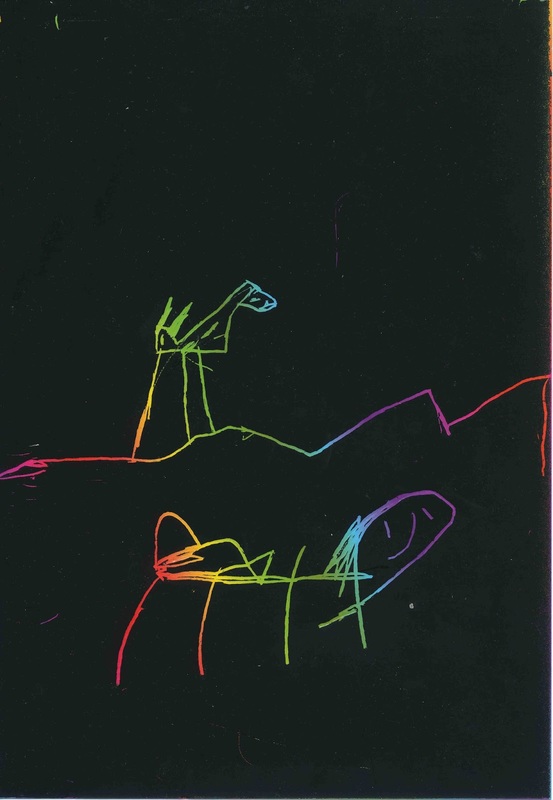 The child’s eye viewpoint is foremost and this contributes to this being that rare commodity – a single poet collection for younger children. The poet’s own illustrations work wonderfully with the text. This is the story of Wayland Smith, the strangest of all I know. 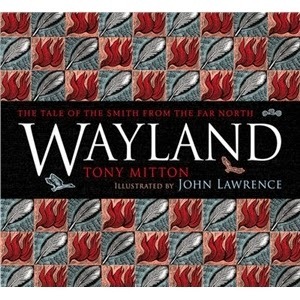 This beautifully told tale reinvents the northern legend of Wayland the blacksmith, whose craft and skill spread his fame far and wide. But Wayland's talents bring him nothing but pain. It is poetic in form, and is epic in nature. It is a complete piece of art, poetry and legend. Readers are quickly drawn into this 'story' set in a landscape of forests and mountains depicted in John Lawrence’s extraordinary engravings. It is definitely a publication for older children. There is the love of Wayland for his Swan-Maiden and beauty in the way words and pictures reunite them. The latest batch of kids' books across my desk for review includes the following great examples. 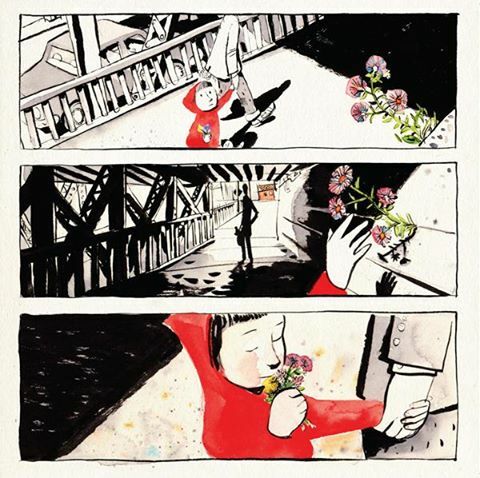 This wordless picture book is a visual delight. The ink and watercolour illustrations of Sydney Smith are incredible. The 'story' told by the illustrations is subtle and multi layered. Your journey through the full page and comic-sized multi-framed pages is through the eyes of a small girl with red hooded top who sees a world of flowers in a dense urban landscape. 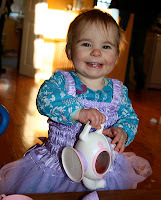 She collects them on her walk with her Dad (largely unnoticed by him), and distributes them in the most delightful way. 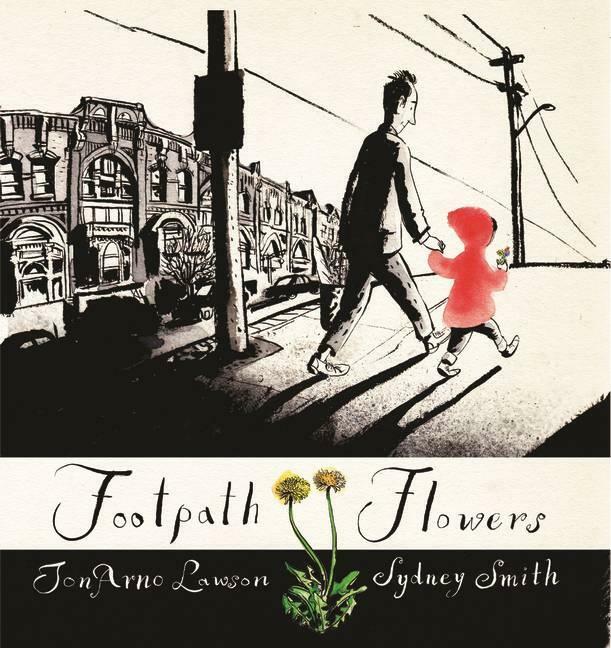 Award winning poet JonArno Lawson and illustrator Sydney Smith is a gem! Everybody seems to love Rex. He dazzles everyone on Serengeti Street for years. He waits for the kids to come home each day, does his usual dance steps and flaunts his looks. Then one day Pamela arrives! The children are now spellbound by this French miss. Rex tries to be cool about it then Towser the street bulldog complicates everything. 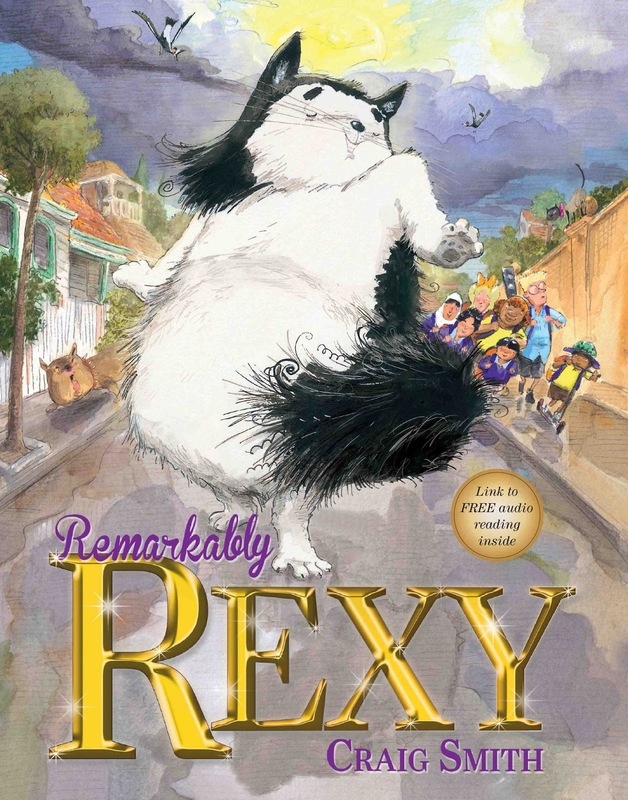 A delightful story from well-know Australian author and illustrator Craig Smith that will be excellent for read alouds as well as early reading material for 5-7 year olds. There is a QR code that allows a link to an audio version of the story as well. 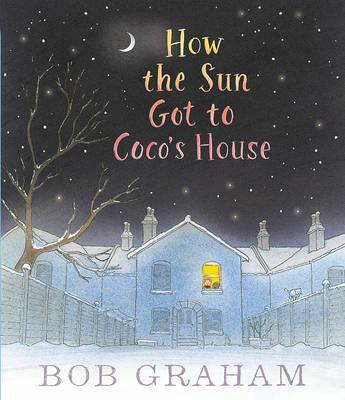 Bob Graham is a legendary author and illustrator and this latest offering won't disappoint. His beautifully simple line and watercolour illustrations always draw us in. As Coco is tucked into bed, the sun moves on. But where does it go while Coco sleeps? To light the day for polar bears, warm some early fisherman, twinkle in the eye of a whale, cast shadows for Jung Fu tramping through the snow, stir a plane load of passengers, make a rainbow in the Middle East, peak above the roof tops and then... finally, shine a light into Coco's room as a new day starts. Remarkably simple, but wonderfully executed. As a little girl hears her Dad starting the lawn mower, she knows this means one thing; he will be cutting all her beloved dandelions. But in a tender exchange her Dad comes up with a solution. As she tells her Dad of her love for dandelions he finds a survivor and they talk about the places that dandelions go when we blow them. 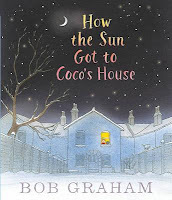 This is a sweet tale with a 'softness' of text and illustrations that are well matched. 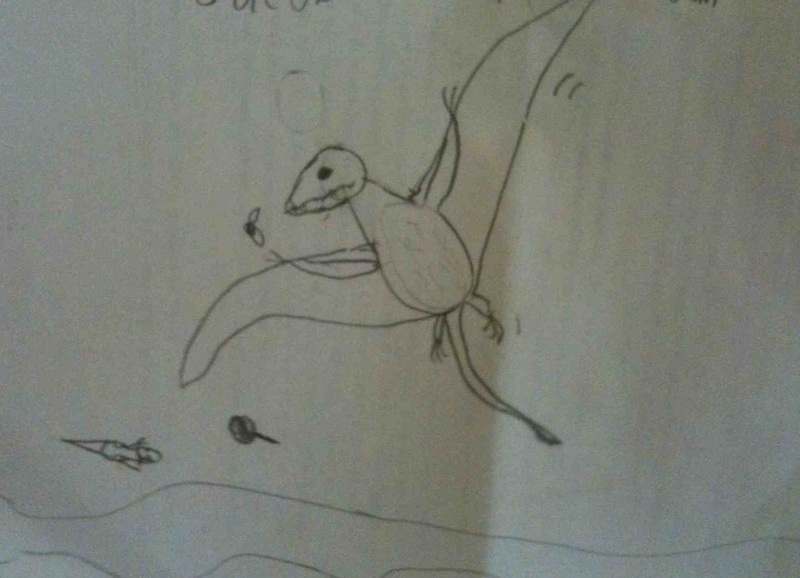 This will be enjoyed by children aged 3-7. 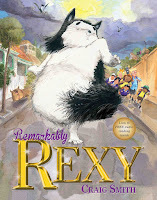 Good for read alouds or independent reading for the older ones. Readers of this blog know that I love animal books. I especially love the platypus and count among my most memorable experiences seeing platypuses at play in the early morning waters of creeks and streams. 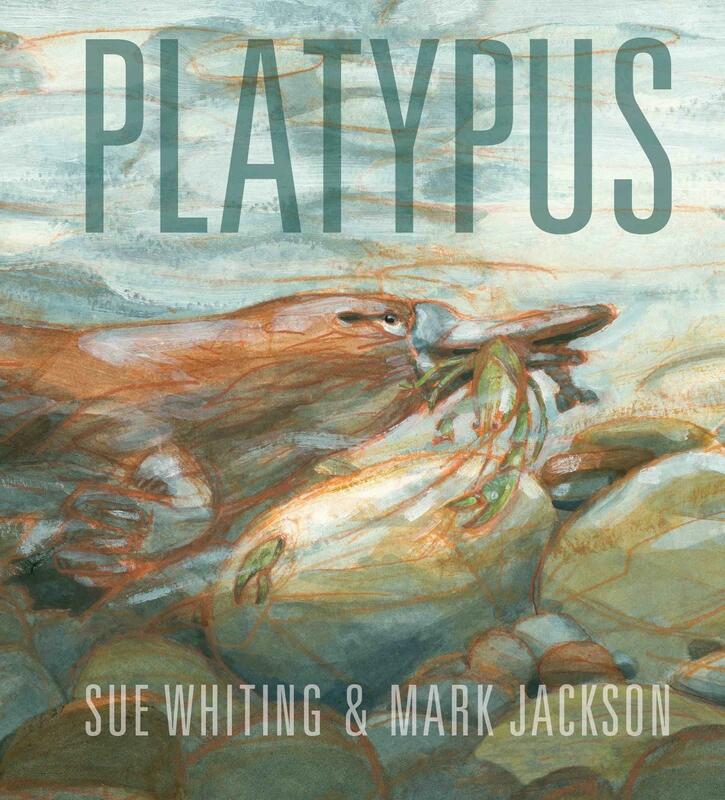 Mark Jackson's illustrations in watercolour and pastel have a richness that seems so well suited to the colour pallet of the world of the platypus. The soft light of dusk or dawn, the deep green of fresh water streams, the thick bush that hides their burrows and shadows their playgrounds are all captured well. 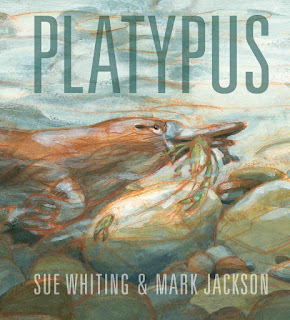 Sue Whiting has written this non-fiction picture book with parallel texts. One is more narrative in style that is foregrounded and the other factual and scientific and sitting towards the bottom of each page. This is a beautiful book that children will enjoy as a read aloud (aged 5 to 8 years) or to read themselves to find out about this fascinating creature (ages 6-9 years). This series of three picture books by Tania McCartney and Tina Snerling offer a snapshot of a year in the life of children from varied countries. The books are beautifully illustrated and designed, right down to the inside covers! 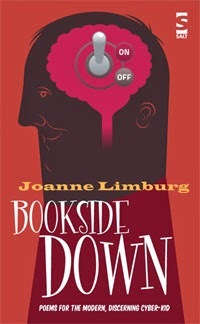 The books are published by a small publisher Exisle Publishing so the might be a little harder to find. Make the effort! 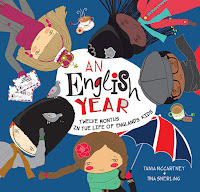 This is such a delightful book that offers snapshots of five children as they lead their daily lives. 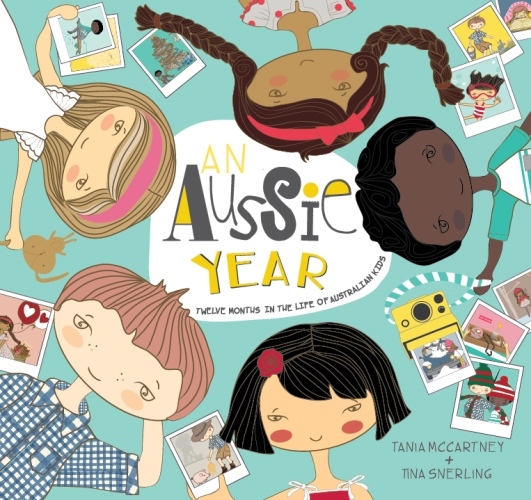 Tapping into the multicultural richness of Australia and the varied lives across the nations, they take us on a journey across the months as the children in parallel lead different but related lives. Sharing some things and doing others that relate to their family and cultural traditions. The book weaves a trail through myriad events illustrated on every page - play activities, cultural traditions, celebrations, holidays, changing weather and wildlife, games, traditions. A country of differences but also rich complexity and unity. There is an Aussie Kids website for book with background and classroom ideas. 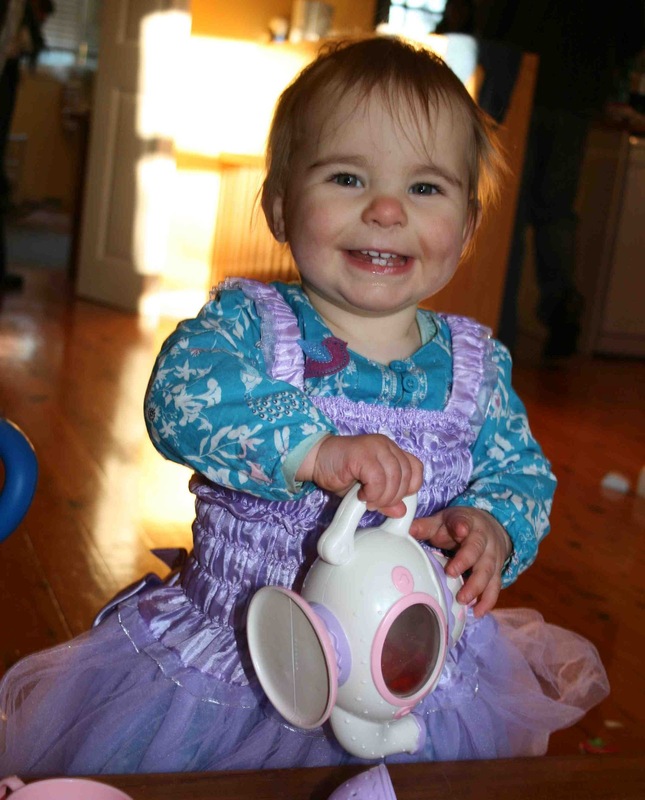 Once again we trace the lives of five children also culturally and ethnically diverse. The places and traditions might be different, the seasons might seem to be at the 'wrong' time, and the customs aren't quite the same, but there are many parallels as well. Children have fun with one another; they learn and play, have families, celebrate and learn. 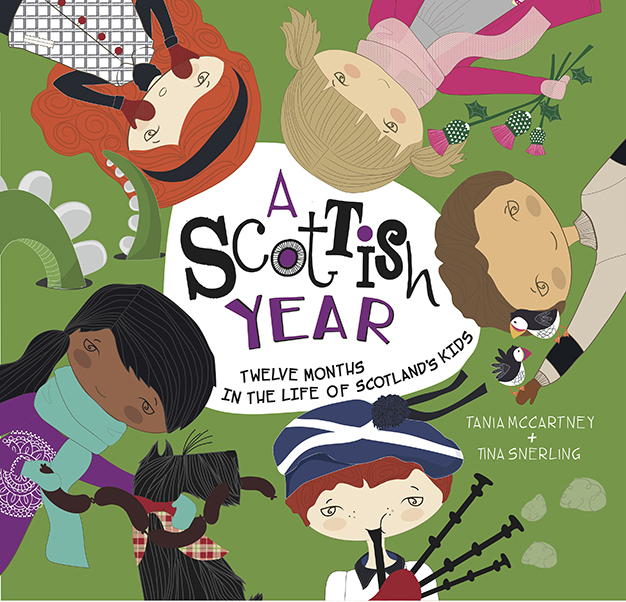 In this book we trace the life of Scottish children. Young readers will see the difference in dress, customs, language, history, games, wildlife culture, sport. But again, they will see in the life of these children much common ground. The book like the others trace five lives and end with a pictorial map showing spatially what this wonderful country looks like. This wordless picture book is a sequel to the book 'Journey' that was an honour book in the prestigious Caldecott Medal in 2014 that I reviewed previously on this site (HERE). 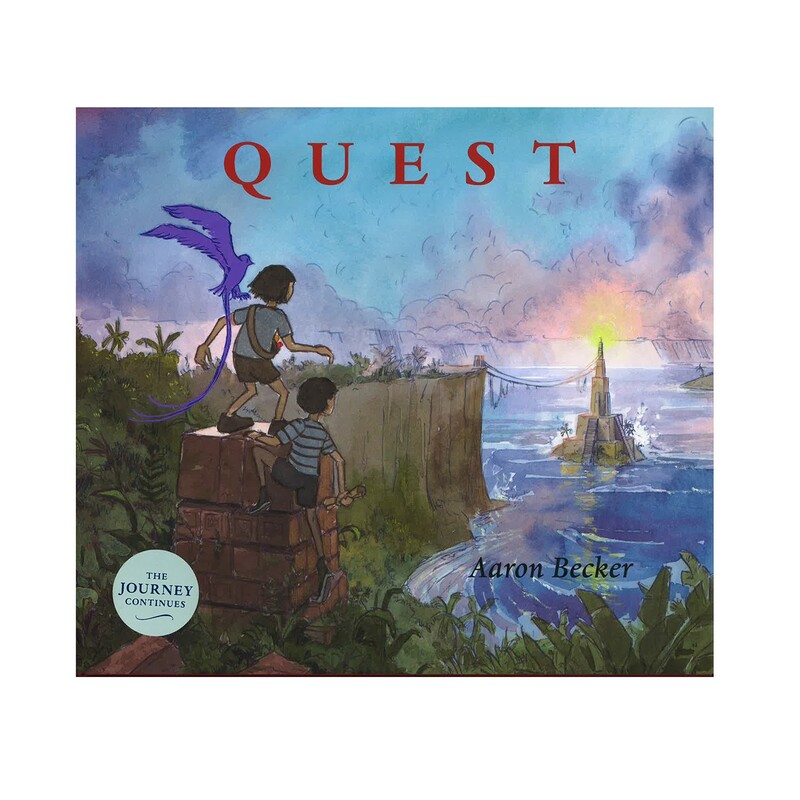 On a wet and dull day two children find themselves presented with a quest from a strange man who emerges from a strange door under a bridge where they have sheltered from the rain. It seems they need to rescue a captured king. 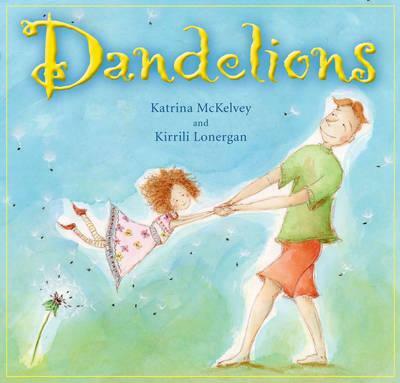 This is a visually intriguing and delightful book that will captivate children's imaginations. Like his last work this is an ambitious piece of fantasy without words. The watercolour images have depth, detail and enchanting qualities.